"Following several sell-out seasons and an acclaimed tour of Australia, Trevor Ashley, one of the foremost musical theatre stars from Down Under, will make his West End debut as the irrepressible, incomparable and infamously iconic Liza Minnelli in LIZA (on an E). From her marriage to Australia's song-and-dance darling, Peter Allen, to her notorious pill-popping and ubiquitous showbiz family, 'Liza' will dish the dirt on her extraordinary life like you've never seen her before, accompanied by a live on stage band, as she raises the rafters and brings the entire house down with power-packed performances of all her greatest hits. 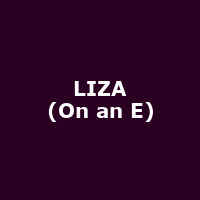 The critically acclaimed and (at least a little bit) controversial Liza (on an E) is an evening that will have you laughing, crying and screaming for more as the supremely talented Ashley channels Liza (and her alter egos), with guest appearances by her mother. Raucous, ruinous and just the right (or wrong) side of risqué, it's a rollercoaster ride of riotous proportions. "